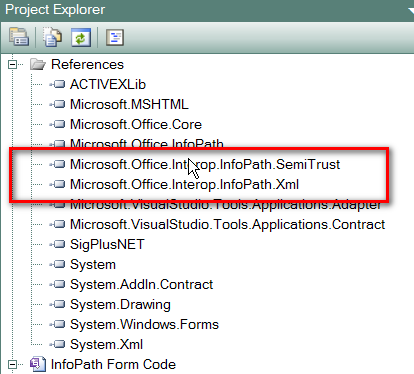 Establishing a Reference to InfoPath SemiTrust and InfoPath Xml Interop Libraries in VSTA | Are you a user? in your VSTA project, you’ll find that you need to include some references. In order to get the Interop references, you may need to download and install Office 2003/2007 Primary Interop Assemblies (PIA) redistributable package. You also want to make sure you have the .NET Programmability Support and VSTA installed for InfoPath. You can use Add/Remove Programs in Office 2007 to insure you have .NET Programmability Support/Visual Studio Tools for Applications installed. Now you need to add the references. 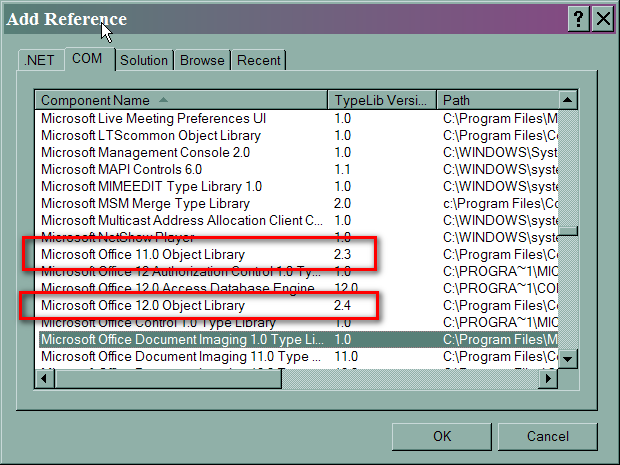 You’ll find the DLLs you need to reference in \Program Files\Microsoft Office\Office12. 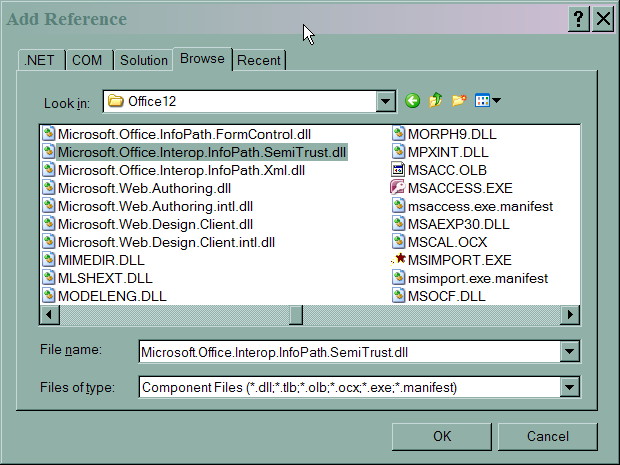 Microsoft.Office.Interop.InfoPath.SemiTrust.dll and Microsoft.Office.Interop.InfoPath.Xml.dll. You can use the browse feature when adding the reference to find the DLLs. The reference to Microsoft.Office.Core is from either the Microsoft Office 11.0 Object Library (Office 2003) or the Microsoft Office 12.0 Object Library (Office 2007).